Have you noticed customers are frequently looking to their hot chocolates with the same critical eye they turn to their coffee beans? Their interest in origin, cocoa content and flavour profiles has led to a new addition in the Zuma Collection. 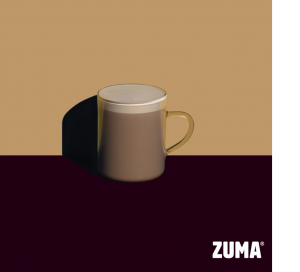 Zuma 100% Organic Cocoa gives you complete freedom to create the right blend of hot chocolate for your customers, every time. Simply mix the raw cocoa with sugar to your taste, add hot milk and serve. Simple! The cocoa has been sourced direct from the Naranjillo Co-operative in Tingo Maria, Peru and is both organic and Fairtrade. The co-operative is made up of 5,000 farmers and their families, who’ve been running the plantation for over 50 years. Buying direct from the co-operative means better beans for you, and better prices, working conditions and terms of trade for them. Like all cocoa, the beans have been fermented, dried, roasted, pressed and ground into powder. But this is where the process becomes a bit more special for Zuma. Normally, the beans would be alkalised – also known as Dutched – to take out the acidity (this also gives chocolate its distinctive rich brown colour). Instead, they do nothing. This creates a natural chocolate with distinctive warm, reddish tones and a complex, malty and refined taste. 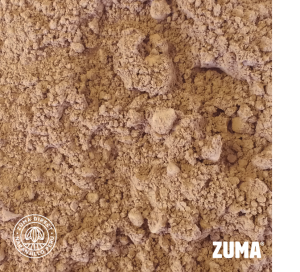 Zuma 100% Organic Cocoa gives you the freedom to create multiple variations from one product and gives you the chance to experiment with different blends. For example Zuma Original Hot Chocolate is 25% cocoa and has the same smooth, sweet qualities as a top-quality chocolate bar whereas Zuma Organic Hot chocolate is 40% cocoa and has a more unadulterated and complex taste. You could experiment with 50% cocoa content, or even higher, depending on your palate. There is even a handy mixing guide in the support material to get you started.